I will be sending out an email today about our Valentines Party next Thursday (2/14 -- 1:00- 2:00). I will need a few volunteers to come into the classroom to help run classroom activities, but also volunteers to just bring in some supplies for treats/games. Look for the sign-ups coming this afternoon! This week we will be digging into Martin Luther King & learning about the Civil Rights movement through various books and literature. Essential Question: What is the civil Rights Movement? Comprehension Skill: Main Idea and key details & identifying character traits. Writing: we will be working on Biographies and how to write a great Biography. Math: Double Digit Subtraction and Introduction to shapes. Essential Question: How does weather affect us? Comprehension Strategy: I can ask and answer Questions in a text. Math: We are continuing practicing double digit addition strategies. We are moving into subtraction as well this week! Writing: We are focusing on writing well rounded paragraphs and adding details to our writing. This week will be a heavy testing week! Be sure to have your kiddo get extra rest and come to school ready to go. :) They will do great! Essential Question: How can people help out their community? Comprehension Skill: "I can identify Author's purpose!" Comprehension Strategy: " I can ask and answer questions in a text!" Math: We are currently working on Double Digit addition strategies in our classroom. We are doing a great job so far! It takes a good amount of practice to learn all the strategies but we are working very hard. :) We are about to move into double digit subtraction and identifying shapes. Writing: We are working on personal narratives and how writers can write great paragraphs. We are studying the structure of a paragraph and adding details to our writing. Science: We are finishing up Mystery Science studying the properties of matter! The students have loved this unit and investigating the different properties of matter. Essential Question: How do the Earth Forces affect us? Comprehension Skill : "I can identify the authors purpose in a text"
Comprehension Strategy: "I can re-read to better understand a text!" This Friday we are completing a Mystery Science activity that involves plastic water bottles. Would you be so kind to send your child with 1 empty plastic water bottle? Just an empty soda, gatorade, or water bottle will be perfect. Also, we are studying Christmas Around the World in the coming weeks. Let me know if you have any traditions from a specific culture that you would like to come in and share about. I know we have some students that have unique traditions based on their heritage. The places we are visiting are: Canada, Mexico, Germany, Spain, England, Italy, and Sweden. If you are familiar/ have knowledge with a different region's traditions that are not listed above, we would still love to have you. Just let me know what you have in mind! Also, if you know any specific treats based on the regions above, you could always bring in a treat that is from that specific culture. Thank you so much! Email me with any questions you may have. Just a reminder, no school on November 21, 22, 23! Enjoy time with your friends and family! This week out learning is all about animals! Our essential question is : How are offspring like their parents. Our comprehension strategy is re-reading. In Writing we are working on personal narratives! This week is all about "show not tell" we want our readers to be able to paint "word pictures" in their mind from our writing. They are loving writing personal narratives! In Math we are working on using various strategies to solve addition number sentences as well as graphing data using graphs and charts! Can you believe it's already the 22nd of October?! We are almost to November! We are starting a new unit this week and its all about Animals! Our essential question is "How do animals survive?" Comprehension Skill: "I can identify character, setting, and plot!" Comprehension Strategy: "I can make and revise predictions!" In writing we are working on personal narratives. We are learning how to identify small moments and add details to those small moments. We will continue focusing on organization and using strong topic and closing sentences. In Math we are wrapping up place value and heading into Addition strategies. You can help at home by allowing your child to use extra math or even flash cards. Students are to know their addition and subtraction facts fluently 1-20. This week is a short week of learning! We will be learning and investigating spiders this week! We will be looking for main topics, key details, and facts that tell us more about spiders and how they live. In Math we are continuing our studies in 3 digit place value. We are getting better and better at recognizing that the place of a digit determines its value. 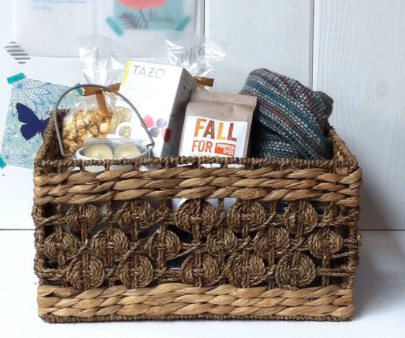 Our Basket theme for the year is " A Cozy Coffee Basket" A (fall-ish) Basket. So anything that makes you feel cozy, warm, and any and all fall feelings, that will be perfect! Please consider having your child bring in 1-2 items for our classroom basket. All basket proceeds go directly to Arrowhead School for software learning activities. Thank you so much for your donations. 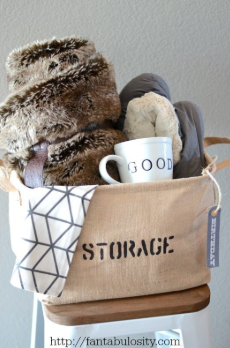 various Coffee flavors, coffee mugs, espresso, coffee makers, coffee creamer, coffee gift cards, cozy blankets, baking (coffee cake), good books, candles, tea, family friendly movies and board games for cozy fall evenings. 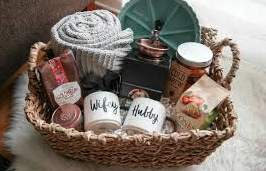 I will also need one parent that is willing to put the basket together after we have all the items for our basket. They will need to volunteer to find a basket that fits the theme and wrap it all up. Let me know if that is something you would be interested in doing. Thanks again! Welcome to Mrs. Huskey's Second Grade Class Blog!